Ring News 24Boxing NewsCould Errol Spence vs. Manny Pacquiao be coming our way next? Last night we were witness to a dominating performance from IBF welterweight champion Errol Spence Jr., who clearly shut out four-division world champion Mikey Garcia over 12 rounds. The action took place from AT&T Stadium just outside of Spence’s native Dallas, Texas. From round one on it was pretty much a clinic, as Spence used his boxing ability to jab his way through Garcia’s guard while often catching him with powerful lefts to the body. In closed quarters, Spence’s advantages in strength were apparent. Garcia, meanwhile, was never able to get his offense going. Scores after 12 rounds read in Spence’s favor, 120-108 twice and 120-107. Spence was increasingly dominant as the fight reached the late rounds. To his credit, Garcia stood up to a tremendous amount of Spence’s heavy blows. Spence took criticism towards all of the people who picked against him before the fight and used it as motivation. One thing Spence did was make sure to give Garcia his due respect for moving up in weight to accept such a challenge. Garcia was obviously disappointed in having suffered the lone loss of his professional career, but gave an honest assessment of the action. 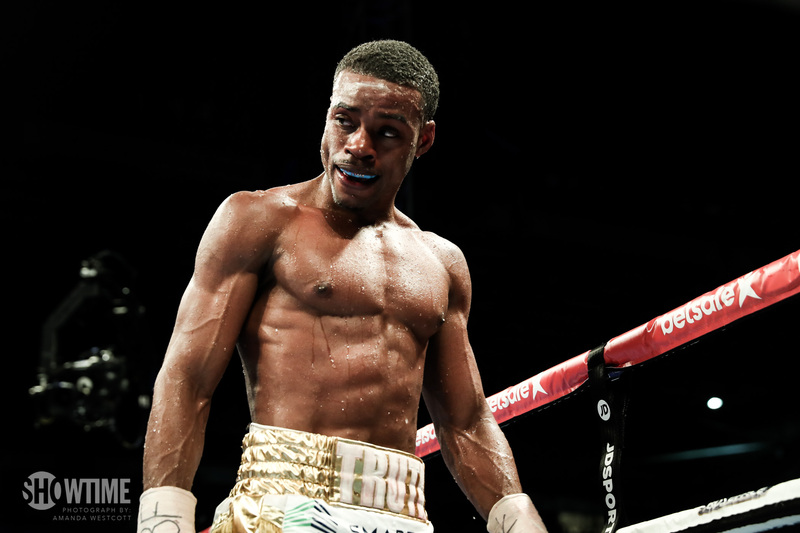 Now the attention turns to Spence’s next fight, which may already be in the works. Spence claims he would love to face off with living legend Manny Pacquiao, who was ringside for the action. Pacquiao is 40 years old now, but coming off of a dominant victory over Adrien Broner in January. Before that, Pacquiao steamrolled through Argentina’s Lucas Matthysse to capture the WBA title he now holds. It still would be an exciting matchup, and the proud champion from the Philippines seems open to it. Pacquiao was in Dallas last night and expressed that he would love the opportunity.